In a way, this book grew out of this website, on which I posted blog entries throughout the three years I lived in Lesotho. They had an immediate and hurried feel to them since I was often racing the sun to punch in the last few words on the computer at the Peace Corps office in the city — where there was electricity and an Internet connection — before running to get a minibus taxi back to the village. This book tells a more cohesive narrative, includes incidents I never got to bring up on the website, and provides deeper reflection than the blog entries. 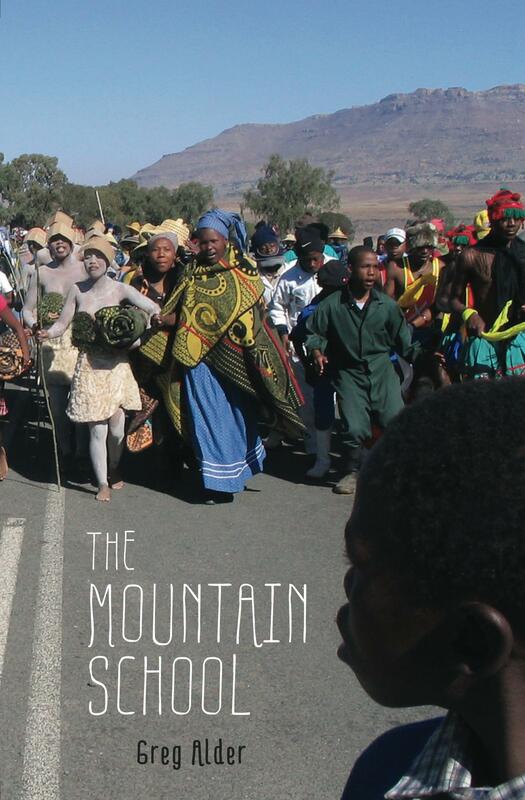 Here are a few reviews of The Mountain School that you might like to read. “The Kingdom of Lesotho is a mountainous enclave in southern Africa, and like mountain zones throughout the world it is isolated, steeped in tradition, and home to few outsiders. The people, known as Basotho, are respected in the area as the only tribe never to be defeated by European colonizers. Greg Alder arrives in Tšoeneng as the village’s first foreign resident since 1966. In that year, the Canadian priest who had been living there was robbed and murdered in his quarters. Set up as a Peace Corps teacher at the village’s secondary school, Alder finds himself incompetent in so many unexpected ways. How do you keep warm in this place where it snows but there is no electricity? For how long can dinners of cornmeal and leaves sustain you? Tšoeneng is a world apart from his home in America. But he persists in becoming familiar with the new lifestyle, he learns to speak the strange local tongue and is eventually invited to participate in initiation rites. Yet even as he seems accepted into the Tšoeneng fold, he sees how much of an outsider he will always remain — and perhaps want to remain. The book is available on Amazon by clicking here, it is at Barnes and Noble here, at CreateSpace here, and it can be purchased through independent booksellers as well. Find an independent bookstore near you that sells The Mountain School through IndieBound. Through Google Books you can take a virtual flip through the book by clicking here. As you read, or after you’ve read, augment your perspective on the people and places in the story by browsing these photos and videos. My dad ordered this book and I am going to read it. It looks like a great book!!! What a great read! Thank you for writing this and sharing your experiences on language learning and culture. Should be required reading for all language professionals. I have been living in Lesotho for one year and a half. I’ve just completed your 253 pages of this touching and beautiful book. Greg Alder – Thank you so much for helping me to get much better understandings of Lesotho. You even teach me how to look at one’s culture. And more than that, many feelings you described in your book are what I have experienced; I do regard them as thoughtful sharing. I love you book.